The information required for (a) is easily available with the CLIMEX model. Information about CLIMEX can be obtained from CSIRO Entomology (<http://www.ento.csiro.au/climex/climex.htm>). The CLIMEX model (Version 1.1) has historical records for thousands of locations on all continents. A map (Figure 8.5a) or table can be generated. Figure 8.5a shows the locations where the cane toad has the required environment for survival and population buildup under the present climate conditions. Filled circles in the map indicate favorable locations—the larger the circle the more favorable the location. 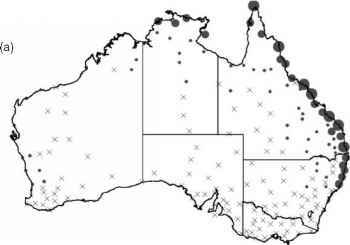 Crosses indicate locations not favorable to the long-term survival of cane toad. The information required for (b) is also generated with the CLIMEX model. A table or a map (Figure 8.5b) is generated. Figure 8.5b shows the potential distribution of cane toad under a global warming scenario. 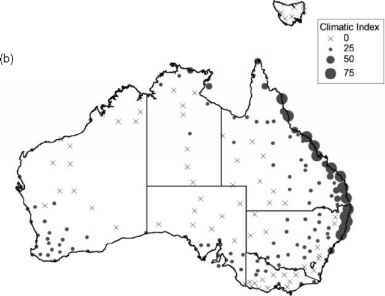 Comparing the two maps shows that under the greenhouse effect, cane toad will spread in all coastal regions of South and Western Australia and in many inland areas of all states of mainland Australia. 2. A Company based at Orange, New South Wales, is engaged in a highly profitable apple production and processing business. The company is eager to expand its business to other areas. To buy more farms on which to grow quality apples, it wants information on sites/places throughout Australia that match the climate of Orange. The information that the company based at Orange needs can be easily generated with CLIMEX. 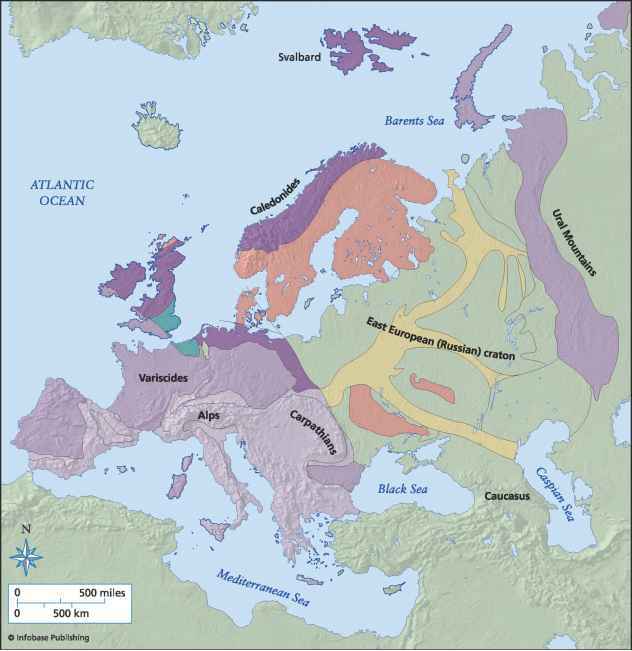 CLIMEX has historical records of climates for thousands of locations on all continents. CLIMEX allows comparison of the average climates of different locations. This is done by measuring similarities in temperature, rainfall, and relative humidity. CLIMEX allows the operator to select a location (called "Target Location") and compare its climate with the climate of each location in a location set. The climate similarities in each pair of locations are measured by a match index between 0 and 100. CLIMEX generates a map or a table (Table 8.5) that shows 228 places having some sort of similarity with Orange in terms of individual weather elements and overall climatic conditions. Table 8.5 provides the information that the company based at Orange required. It shows the 15 top places (out of 228) in Australia that are more than 70 percent similar to Orange in terms of climate.